Are you having trouble in becoming the very best like no one ever was? Do you still need to walk one kilometer just to reach the nearest PokeStop? Is your Pokemon Go experience so unfair compared to others? Do not be so worried! 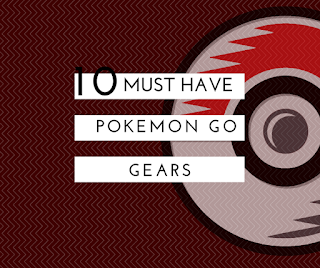 This post will help you overcome the stress and will suggest a lot of items that will ease your Pokemon journey! This popular “quote” has been lurking since the 90’s. It’s the popular phrase of Professors in every Pokemon game when you start a new journey. Pokemon Go is an Android and iOS game. So obviously, you need a smartphone that is high tech enough to handle the minimum system requirements of the latest Pokemon game in Android. You can find the minimum requirements directly from the Pokemon Go Niantic Labs. Cheap Smartphones can easily be found over the counter. For Filipino brands, there are the Cherry Mobile phones that can rock your Pokemon GO journey! Have you tried playing the original Pokemon Meta games that can only be officially played at Nintendo products like gameboy, DS and 3DS? Did you know that the main protagonist (your chosen character) will always need a BIKE!? YES, a Bike! In the real world, we also need some kind of transportation in order to become the very best! Long distance to walk? Why not ride a bike? The cool Cool Flyer X1 20″ 21-Speed Folding Bike might be a cool arsenal to have in order to travel the long awaited Pokemon Gym battel a few kilometers ahead. Instead of walking, this bike with a 7-speed freewheel and high quality steel frame will surely bring you to the right Pokemon Gym! But, the best among the rest of the bikes that you can find online might be the 24″ Y Folding Mountain Bike. It will surely make you feel like in the games! But I’m not really sure if this will actually fit inside your bag? The bike has Shimano TX30 Tourney 7 speed shifter, Saiguang SR42T Front Derailleur, SunRun HG-7 Rear Derailleur that can be easily folded in less than a minute! Can you travel without a reliable bag? Well, well, well, in Playing Pokemon GO you still need to bring a bag! There are several necessary items that are needed while traveling. Examples are water, food, and clothing for change. These little items must be placed in some kind of a bag! The easiest and lighter kind of bags that we need to bring are some kind of sling bags, or waist bags.It’s still up to you if you want a big back pack! For sling bags, the cheap Attraxion Chuck Sling Bag might be your best bet. It is small and lightweight that your other items such as extra cellphone, battery and power banks will surely fit. A couple of biscuits and money will not hurt to add as well. Another notable sling bag would be the Waterproof Outdoor Sports Sling Chest Bag that is a bit expensive compared to Attraxion Bag. This bag is a waterproof bag that is very much compatible with the rainy weather that we experience in the country. On the other hand, if you want a waist bag that will not distract your bike driving while playing Pokemon GO in the Philippines, you can try the Sports Waist Bag which only costs 299 PHP. Easy to carry and lightweight. Pokemon GO is an Android and iOS app that can drain your battery in just a matter of minutes. With the GPS, DATA, high brightness and music ON, I guess your journey will not last very long with the newest Pokemon game! You might be returning to your home town just to recharge every now and then. But, this hassle experience will surely be gone if you are to bring a very reliable Power Bank and or extra batteries! There are a bunch of different batteries that can be found over the counter because of the obvious reason that we use different mobile devices! It’s up to you if you are to buy one or two for spares. Bringing a normal Power Bank is just as easy as pie. But for those who travel the whole world, the Solar Power Banks will surely give you an unlimited power while traveling. The state of the art 50000mAh Solar Power Bank might be the best bet for your Pokemon GO travels in the Philippines. The solar power bank is water proof and can charge multiple devices! The built in LiPo battery can charge from solar and power outlet, so it’s just up to you on what to use! Imagine battling a Pidgey and those cute little beaks just hit your unguarded phone. Then the Pidgey just ran away with 12CP after using 3 Ultra Balls. How horrible is that? The point is, you need a protection to your phone! A good scratch resistant screen protector would be nice, but just hit up the cheap ones! There are 50 PHP – 150PHP screen protectors that can be bought at the prestigious malls and even in Baclaran or Quiapo! No need for awesome glass protection that will just hit your wallet to nothingness! The same with the Phone cases, find the sturdy and cheapest ones. After that, it’s all done! 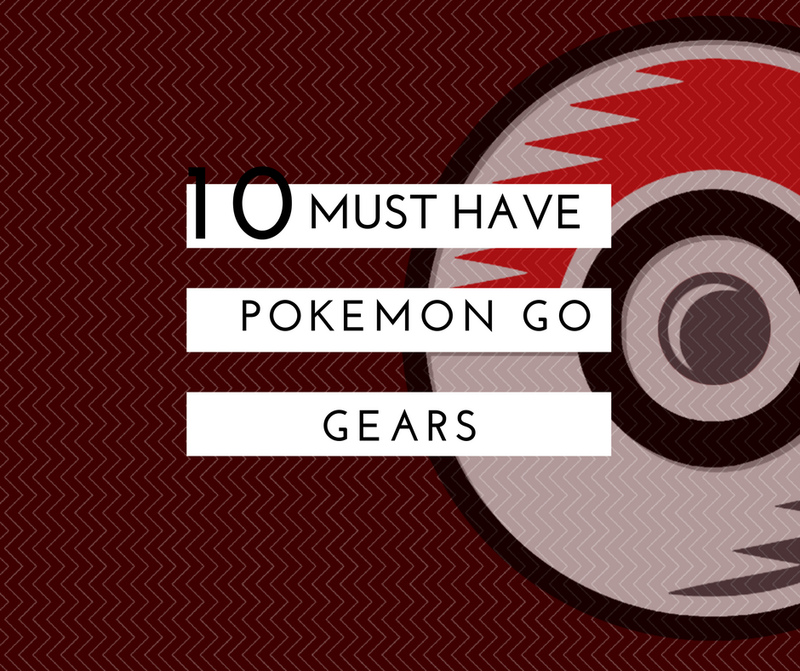 These items are recommended to have not just for Pokemon GO players but to all Smartphone users! You see, these kind of devices are prone to falling and scratches, and these items will only protect your phone until the end of your journey! Whether it’s raging hot or raining, you still need a hat and an umbrella. And do not forget the dafety measures of the Bike Helmets! The Pokemon Trainer hat is for you to feel the chills of being a Pokemon Go Player in the Philippines. While the Poke Umbrella is your back up while playing under the rain. Just imagine riding a bike while catching a Rattata, and you’re under the heat of the sun, sweating like no tomorrow. What is the probable solution to this? Wear a HAT! A bull-cap, a bike helmet or whatever suits your head! I do not actually recommend the Anime-styled hats since they tend to be created from low quality materials but sold in a higher price. You can try the cheap but branded OXYGEN 6 Panel Cap with Curved Visor for 249PHP or the Mens Outsiders Baseball Cap with the same price. If you are to bring an umbrella, I recommend to purchase excellent umbrellas from reputable brands such as the Fibrella or Esprit Umbrellas. They may be expensive but the umbrella’s lifespan are really astonishing! The Fibrella Dual Automatic Umbrella Cool Down Series F00342 is a great choice to have since it is very small and automatic. You can avail the product for only 599.75 PHP at Lazada. Meanwhile, the Esprit Umbrella Cube can also be a good substitute if you do not want a Fibrella brand umbrella. The Umbrella Cube is also small and lightweight that can easily fit inside your sling bag. On the other hand, you can also try to wear a Yukata Rain Coat if ever the weather isn’t favorable. Without the Umbrella’s handle, you can drive your bike to the fullest! But above all, your safety must still be properly checked! Wearing a sturdy and rated Bike Helmets are the best option out there! These items were designed to properly protect your head in case of incidents. Check out the The Team’s Bull Cap! Prevention is better than cure. But in this case, while playing Pokemon GO in the Philippines, to prevent your smart phone to loose its power is our cause! Yes, you have an extra battery or Power Bank. But what if you don’t? Or you bought a 1200mAh power bank only and you still need to travel 20km before reaching a gym? Bluetooth earphones or headset is your answer! Pokemon GO has the ability to give off this sound when a Pokestop, Gym or Pokemon is within your range. The phone can also be set to vibrate when one of these are near. In order to fully utilize this setting while conserving power (turning the screen off), we need a headset to hear the sound when an event is within range. And to top it off, the best Bluetooth earphones that we can suggest is the JOWAY H-07 Pro Music Sport Bluetooth Earphone. It is a bit expensive than expected but the beauty of not touching any wires while biking is awesome! The item has medical silicone earmuffs, and even great for sports! It has a built in microphone that can follow voice commands and can last up to 5h of continuous music! A cheaper Bluetooth headset would be the HBS760 Bluetooth 4.0 Headset In-Ear Headphone. This is may be a bit expensive for the others, but the comfort ability of the headset on your head is still there. Other headsets can actually hurt some parts of your head while wearing those devices so we do not actually like it! Playing Pokemon GO is to travel the world. And when you say “travelling”, there are lots of awesome spots that you may find along the way. With the power of action cameras, those awesome spots will surely live until the rest of its days.. virtually by recording or capturing a photo. Bringing an action camera while traveling will also assure you a little protection along the road. You can turn those action cameras while driving your bike just like how dash cams are used. The notable Action Camera that can be used are the GoPro Action Cams. They are the best of the beasts! They can capture HD photos and vidoes. This will surely take your Pokemon Go journey to the next level! The latest arsenal of the GoPro products is the GoPro Session. With this action camera, you can also try to record yourself while in your Pokemon GO journey in the country and upload it to YouTube and become a superstar! Other notable GoPro Cameras are the GoPro Hero 4 and GoPro Hero 3 that are inferior compared to GoPro Session but much cheaper compared to it! If your budget can’t have the GoPro Action cameras, then why not find another brand? The SJCAM series might be one of the best GoPro alternatives in the market at very low price! For as low as 1700 PHP, you can already have an awesome action camera! The SJ6000 12MP Full HD 1080P 2.0″ WiFi will surely make your Pokemon travel memorable! It’s not really easy to hold your phone while driving your bike. Not to mention it’s actually unsafe! The power of the Phone holder that can be mounted to a bike is a godsend that will surely make your travels easy as pie! The High Quality Universal Bike Bicycle Cell Phone Mount Holder isn’t appealing on my first sight. It’s cheap and looks sturdy, but the design might not be the best out there. Although, the price of 300PHP will do the job if you’re not hesitant to buy this product. But for be, what if the phone slides from that clip? It seems that the clip is the only reason why your phone will stay with you! Another item that caught my eyes is the Universal ABS Bike Bicycle Phone Holder Stand Mount. It’s a bit expensive compared to the clip mount but this product seemed to hold your phone better than the first one. It also has awesome styles that can match your gameplay if you chose the Team Instinct! But among the two, I saw a better phone holder that can be sturdy and seemed to hold the phone compared to the Clip Mount and much cheaper than the Team Instinct Bike Mount. The Universal Moto Bike MTB Bicycle Handlebar Mount for only 460PHP.